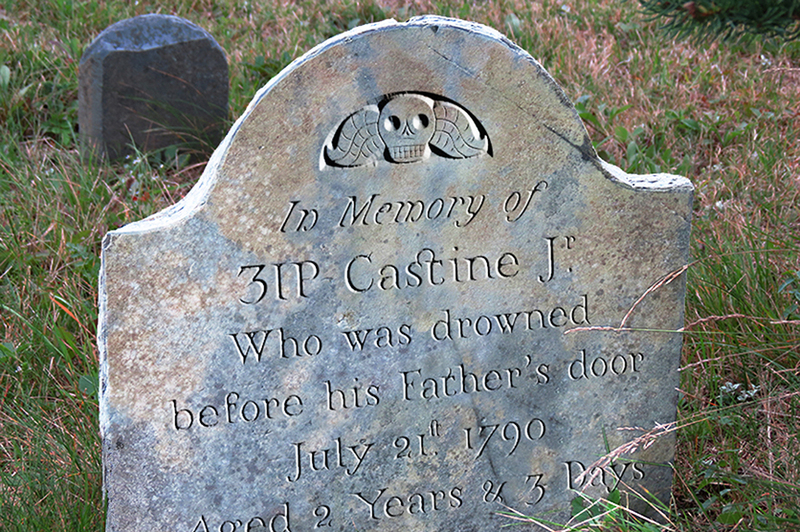 There’s a cemetery in Castine, Maine, a lovely coastal town perhaps best known for Maine Maritime Academy and a surviving crop of stately old American elms, with headstones dating back into the 18th centurythe standard old headstone shape, often topped by winged skulls. Thanks to Deborah Pulliam, I got my hands on a couple rubbings; these show a particular style of stonecarving that proved captivating to the point of typeface design. Castine has a full character set in both roman and italic styles. The OpenType release adds numerous ligatures, old-style and lining figures, and Central/Eastern European alphabets. (Check out the epitaphs.) US$49.